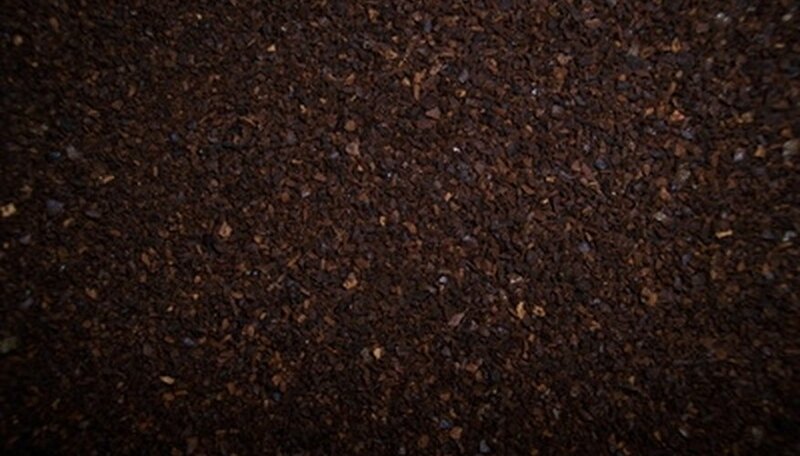 Coffee grounds are an excellent addition to your compost bin and garden. By adding your used coffee filter and grounds to your compost you are adding carbon and nitrogen while attracting worms that aerate your compost and speed up the process. Additionally, to perk up your pepper plants, fertilize with the coffee grounds left over after a morning's cup of coffee. Add coffee grounds directly to your garden, and they will supply your peppers with nutrients as well as deterring slugs, snails and ants. Save your used coffee grounds in a covered container until you can take them to your garden. Sprinkle coffee grounds around the base of your pepper plants. Use your fingers or a small pronged cultivator to gently work the grounds into the soil around your pepper plants. Be careful not to go too deep. Do not disturb or damage the root system of your pepper plant. Water your pepper plants if rain is not expected. Shake used coffee grounds carefully over the soil in a 1/2-inch layer. 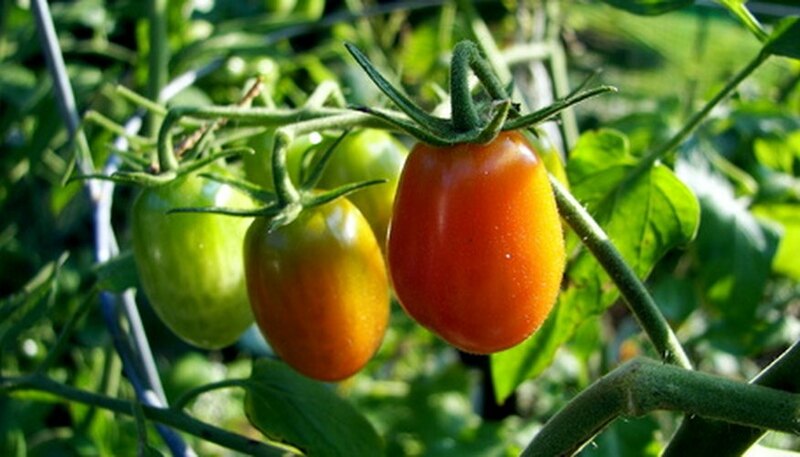 Keep the coffee grounds 2 inches away from the center stem and cover the soil out to the drip line of the tomato plant. Use the hand rake to work the coffee grounds into the soil completely. Do not leave the coffee grounds on the surface of the soil, because they may develop mold and decay if you do not work them into the soil. Water the soil where you added the coffee grounds after you work the grounds into the soil. If you expect rain to fall within the same day, forgo watering. Otherwise, saturate the soil evenly with water. Pull up all existing weeds. Sprinkle 10 lbs. of coffee grounds into the garden soil for every 1,000 square feet. Till the grounds into the soil to a depth of 6 inches. Irrigate the garden to water in the grounds. Fill a 5-gallon bucket with warm water. Add 1/2 lb. of wet coffee grounds. Let the concoction sit in the sun for a day, then pour the liquid around your roses. Spread a thin layer -- up to 1/2 inch -- of damp coffee grounds onto the soil around your roses to improve the soil texture. Coffee grounds can form a crust over the soil if they dry out, so cover them with a thicker layer of organic mulch. You also can mix a small amount of coffee grounds into the soil, but add a nitrogen fertilizer at the same time, recommends the Oregon State University Extension Service. Add coffee grounds to your compost pile. The Oregon State University Extension recommends layering your compost pile with one-third dry leaves, one-third fresh grass clippings and one-third coffee grounds. When the materials have decomposed, add the compost to your rose garden soil. Plant seeds according to package directions. Most seeds for vegetables or flowers are planted in a shallow furrow or hole with a light covering of soil. Collect coffee grounds from your own home brewing, or from a nearby coffeehouse. Add about 1/2 lb. of coffee grounds to the 5 gallons of water. Swirl to mix, or use a stick to stir. Stir or swirl the mixture frequently while watering to make certain the coffee grounds stay in suspension and that the correct amount of grounds get dispersed into the seed bed. Repeat Steps 4 and 5 until all seeds are watered. Loosen the soil around the plant with a trowel, taking care not to disturb the root structure. Pour used coffee grounds around the perimeter of the plant, working the coffee into the soil with the trowel. Add about 1/2 pound of coffee grounds to a bucket filled with water and allow the grounds to liquefy. This process moves faster if you place the bucket outside on a warm day. Pour the liquid fertilizer created from the dissolved coffee grounds directly onto the soil around garden plants. Line a cookie sheet with newspaper. Put the coffee grounds on the newspaper-lined cookie sheet and spread them evenly. Put them in a well-ventilated place to dry. Apply the coffee grounds to the base of your plants. Start with as little as 1 tsp., as too much might make the soil too acidic. If you don't notice a difference in the plant's development, slowly increase the amount of coffee grounds with every application. Water the soil to push your homemade fertilizer into the ground.